Because everyone should own a Silhouette craft cutter machine, I have another Silhouette Portrait to giveaway! 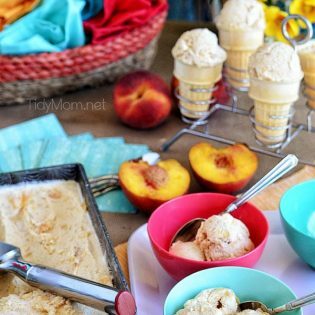 As an affiliate, I get to share special promotions and giveaways with TidyMom readers several times a year! UPDATE: This promo has been extended thru July 12th 2013. 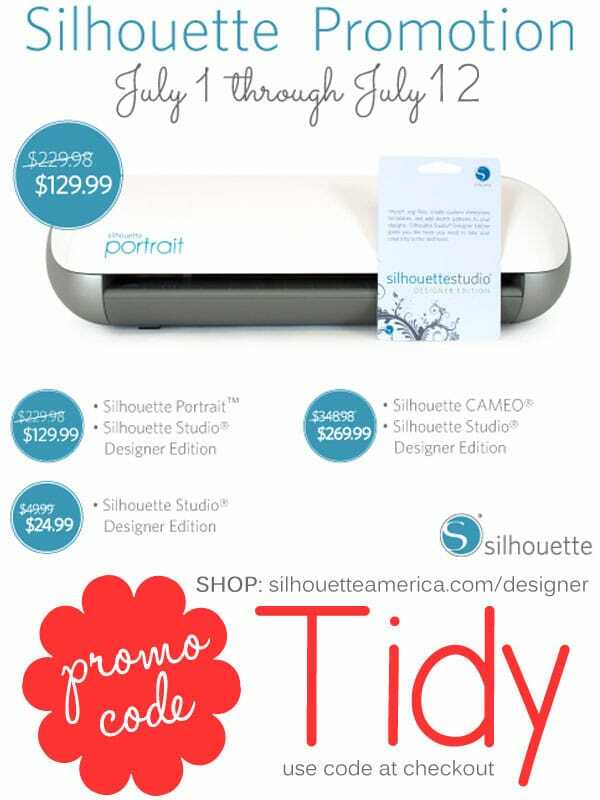 Now thru July 10, 2013 they are running a really nice discount on bundles that include the Silhouette Designer Edition Software, you can get the following deals when you head to the Silhouette specials page HERE and enter the promo code TIDY at checkout to get the promotional prices. 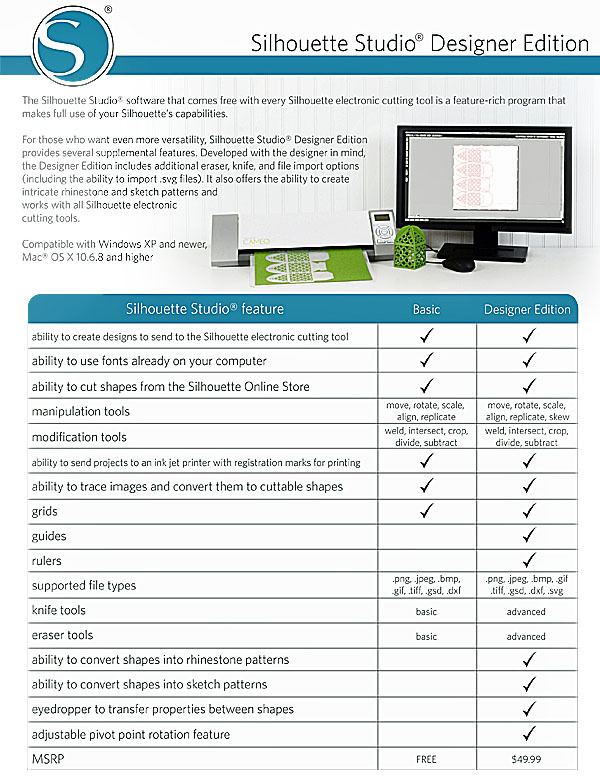 If you already own a Silhouette, you can buy the Designer Edition at 50% off. This month’s giveaway is one Silhouette Portrait with the Design Studio software. 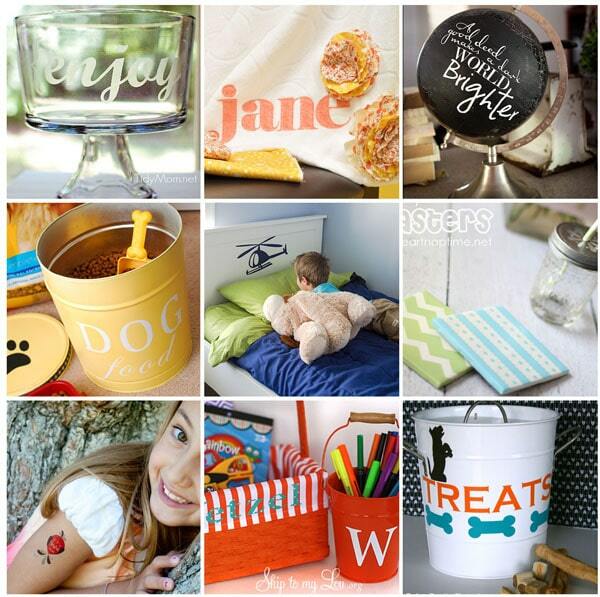 For even more inspirational ideas, follow Silhouette on Pinterest! *Remember The promo runs through July 12, but the giveaway ends on July 8th at 11:59pm CT.
To enter the giveaway, leave a comment on this post telling me what you’d make with a Silhouette, then simply complete the steps in the giveaway widget below. Personal information will not be shared or used for any kind of mailing list, it’s simply used by me to select and contact the winner. Disclaimer: I have a working relationship with Silhouette USA as an affiliate marketer. I have not received compensation for this post, but I do occasionally receive free products. All views, opinions and love of my Silhouette machine are all my own. 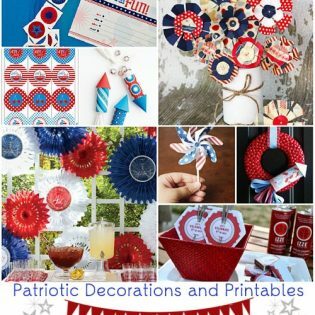 Would love to dazzle my family & friends with nifty gifts made with the Cameo!!! Thanks for the chance! I would make either wall decals for my basement or guest bath artwork. Thanks for the opportunity to win. a fabulous cutting machine tool. just tried using the code to get the designer software for 50% off but it seems its only valid for the cd version not digital download. is this correct? thank. would love a copy of it. I’m sorry – They have fixed the problem, and the code should be good to go now – thanks! Do you know what the August special will be?